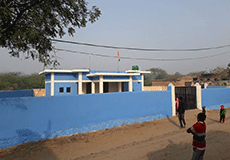 In March, DEF and Nokia initiated project Smartpur in Nuh (Haryana) and Asoor (Tamil Nadu). It has been conceptualised in a manner that challenges and redefines the existing idea of smart villages, which is based more on the availability of digital infrastructure but not as much on the integration of the infrastructure into the daily lives. 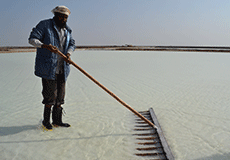 DEF team member Ravi Guria in March visited the Little Rann of Kutch in Gujarat where DEF runs project Zero Connect. He recalls his visit here. One has seen spellbinding visuals of the Little Rann of Kutch in the magazines and the Internet, but nothing prepares you for the experience, than actually being there. 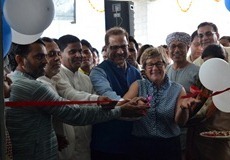 In April, Internet Saathi, an initiative of Google and Tata Trusts, entered into its second phase with the launch of Digital Livelihood, aimed at providing digitally-enabled employment opportunities to the Saathis across Bihar and Madhya Pradesh. In this phase, 432 Saathis (Bihar) and 340 (MP) were trained to conduct tablet-based surveys to gather data from 18,528 people health, agriculture, FMCG and media & digitalisation. Smartpur was launched amid much celebration in Tain village of Haryana in May the presence of Finnish Ambassador Nina Vaskunlahi, Nokia VP & Head of India Market Sanjay Malik, Nokia Head of Marketing & Corporate Affairs Amit Marwah, DEF Founder-Director Osama Manzar, other officials from the two organisations and community members. Smartpur is a dream project for DEF and Nokia aimed at creating a holistically designed smart village. In its pilot phase, Smartpur has been implemented in 20 villages. In the next one year, the plan is to scale up to 100 villages, and 500 in the next three. Tosa Maidan in Budgam district of Jammu & Kashmir has long suffered from low development indices and a pertinent need for quality interventions. Realising this gap, DEF in partnership with School of Rural Development and Environment established a CIRC in Arizal village earlier this year, with digital interventions in mind. The CIRC hopes to reach out to a total of 1,000 children and youth over a period of 12 months. eNGO Programme is an initiative of DEF to digitally transform grassroots organisations through capacity building programmes aimed at improved outreach, quality content and sustainability. 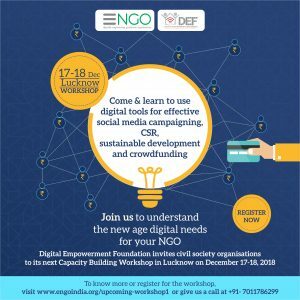 In an effort to increase visibility and help these grassroots organisations, a capacity building workshop is organisaed in Lucknow on 17th-18th December, to help NGOs learn the newest digital solutions for a sustainable development. You can register here.